Does McCain have a chance to be Rep. nominee? And that's frustrating to me. Yesterday, McCain's 08 chances were discussed on several of the "sabbath gasbag" shows, and the consensus seemed to be that while McCain is one of the most respected politicians in America, he'll have an uphill battle because the religious right and the rightwing, both of which seem to be calling the shots in the Republican party these days, will fight him tooth and nail. "Sabbath gasbag" shows. Heh! Love it! Which leads me to wonder why he remains with the party. What I wonder is why he's considered to be a centrist or a moderate. If you check his voting record, he is as conservative as they come. He's not as rabid as Bush or Orrin Hatch, but he has voted with the GOP on just about every vote. He even voted to confirm Alberto "We don't need no stinkin' Geneva conventions" Gonzales, even though he himself is a torture survivor. THAT made me lose what little respect I had for him. According to polls, McCain would probably beat any Democrat in 08. The majority of Americans seem to think he'd make a helluva president--even those of us who don't agree with him on everything respect his integrity and his statesmanship and his pragmatism. McCain? Integrity? If he'd had integrity, he wouldn't have been shilling for Bush at the GOP convention. Not after the smear campaign against him in 2000. But it looks right now like he won't be able to secure his own party's nomination--which says something about how un-mainstream the Republican party is becoming. He's also getting on in the years, don't forget. Myself I hope McCain never gets a chance to reside in the Oval Office. He is just as bad on defense as most of the Democrats and manages to accomplish the hard task of making Rumsfeld and company look good on their defense procurement decisions. This is the guy who has been opposed to both the B-2 Spirit and the C-17. The C-17 is currently our best way to deploy our heavy forces anywhere in the world quickly. The C-17 is currently our best cargo plane and is doing or did an awful lot of the heavy lifting for the War on Terror and Iraqi Freedom. Then you have the B-2 it is the only bomber in the world that can operate successfully in some of the heaviest air defenses ever created. It takes off from the CONUS and then can deliver a strike anywhere in the world without being detected. The only way you know anything happened is that targets are destroyed and a B-2 lands as late as nearly two days from when it took off. Then you have his current opposition to the Raptor. He is holding up a critically needed aircraft that is ready for widespread production. All he is trying to do is make a point and serve his own political ends. So if the Raptor ends up dying as a program or we don�t get it in sufficient numbers hopefully those deaths among our armed forces fall upon the head of McCain. McCain on defense is someone who likes to appear to be a maverick. Instead McCain is a windbag who likes to hear himself talk and then get congratulated for being a nonconformist. Waterpanther: then McCain might have a chance as the one credible candidate they can offer. I would much rather see Governor Pataki or Tommy Franks as more credible candidates. I�d rather see a President Lieberman then a President McCain. McCain lost all credibility when he opposed the F/A-22 Raptor in the manner that he did. CJ--Franks is going to be poison by the time next elections roll around, as will the other architects of the current war. The only likely Republican candidate who can speak credibly on that issue is McCain, for better or worse, and its his own war experience that gives it to him. The Democrats are likely to choose an anti-war candidate in 08; if the Republicans nominate an armchair enthusiast like those that are so plentiful in the present administration, they might as well take the long jump out of one of those C-17's sans parachute. Waterpanther: Franks is going to be poison by the time next elections roll around, as will the other architects of the current war. Franks was mostly out of the way too early in Iraq to be hit by any of the current wave. His role in troop levels basically consisted of being told to make do with what he was given. Most of the success in OIF comes from Franks arguing for a heavy forces position rather than Special Forces and native insurgents like Rumsfeld and DOD wanted. Franks pretty much pushed all he could do run the campaign the way he wanted rather than DOD wanted and got he could squeeze out of them. Overall I think Franks will have a few scratches but nothing that will keep him from running. Waterpanther: The only likely Republican candidate who can speak credibly on that issue is McCain, for better or worse, and its his own war experience that gives it to him. George Pataki is a heck of a lot more credible than McCain. McCain has basically spoken out in totally opposition against the cornerstone of US defense policy for the next several decades. Opposing the F/A-22 Raptor is essentially saying that you don�t care one bit about defense issues. That is the one issue that will sink McCain every time on whether he is actually credible on defense issues and the one issue that no McCain lover can ever find an answer for. Care to try to argue that one? 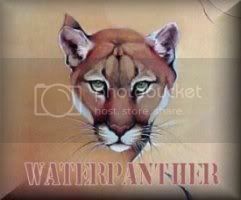 Waterpanther: if the Republicans nominate an armchair enthusiast like those that are so plentiful in the present administration, they might as well take the long jump out of one of those C-17's sans parachute. Pataki is a governor of a major state, has very few connections to Bush, and is a heck of a lot more centrist than McCain. He doesn�t have the political baggage and negative connotations of McCain. Franks on the other hand is the last person that you could call an armchair general. Opposing the F/A-22 Raptor is essentially saying that you don�t care one bit about defense issues. That is the one issue that will sink McCain every time on whether he is actually credible on defense issues and the one issue that no McCain lover can ever find an answer for. Care to try to argue that one? CJ, try something. Go into your local Luby's, or the equivalent, pull someone out of the line at random, and ask whether s/he feels the F/A-22 is the cornerstone of American defense for the next several decades and whether opposing it means someone doesn't care about defense issues. Chances are that that person waiting for dinner doesn't know what the F/A-22 is, doesn't care, and if s/he does know, considers it more wasteful Pentagon spending, like the $500.00 toilet seats. Then as him/her whether the Raptor is more important than healthcare for the kids, or increased anti-terrorist security for the dam up the river or the atomic energy plant down the road. The Raptor is a prime priority for military hardware fans, not for the population at large. Add "with Republicans" and you'll have a good point there. McCain, on the other hand, is far better known to most Americans and is well-liked by a good many liberal, middle-of-the-road and conservative Democrats. And BTW, I did not call Franks an armchair general. McCain's real problem goes beyond the Raptor issue; that's just one of the big obvious symptoms. He is, fundamentally, just an attention hog, and has figured out that the most effective way for him to get attention is to oppose Republicans and talk like a Democrat. Even if he were to someday reverse his stance on the Raptor because that had somehow become a better way to get attention, that fundamental problem would still be there. Worse yet, the most dangerous thing about a politician is seldom his own behavior; it's how the people react to him. The very worst kind of politician possible is one that people blindly heap piles of praise on for no reason but because he's become a bandwagon they want to jump on and the media keeps yapping about how wonderful he is. That's how dictatorships begin. Delvo: The very worst kind of politician possible is one that people blindly heap piles of praise on for no reason but because he's become a bandwagon they want to jump on and the media keeps yapping about how wonderful he is. That's how dictatorships begin. We're in agreement on this point, Delvo. Uhmm, now what's that guy's name? The one Wolf Blitzer keeps calling "bold." You know, Chris Matthews called him "our young warrior king?" George, George, George Somebody . . .. The very worst kind of politician possible is one that people blindly heap piles of praise on for no reason but because he's become a bandwagon they want to jump on and the media keeps yapping about how wonderful he is. That's how dictatorships begin. I don't see irony, I see constant references to how stupid, unqualified and ill-prepared the person in question is from virtually every weeknight when I watch Jay Leno, to the latest Green Day or System of a Down song, not to mention the very statements that have been quoted here ad nasuem from editorials, investigative reports and polls as well as the various statements and adds placed denigrating the person in question during election time. The very fact that this discussion is happening, that these things exist, that such a debate has been raging across the national conscoisness for so long shows that there is not any great level of "unquestioning following" going on. Now can we move from the personal partisan sniping, the name calling, the denigration of both sides and actually talk about an issue. The Pentagon (news - web sites) may have to scrap its premier fighter jet program to help pay for the war in Iraq (news - web sites), Sen. John McCain, an influential member of the Armed Services Committee, said on Sunday. McCain said both the U.S. Army and the Marine Corps must be expanded overall, a position at odds with President Bush (news - web sites)'s administration. The United States has about 135,000 troops in Iraq, a number that McCain, an influential member of the Armed Services Committee, said must rise. He went on to say, �We may have to cancel this airplane that�s going to cost between $250 million and $300 million a copy.� The Senator did not identify the aircraft, but a McCain spokesperson confirmed he was referring to the F/A-22. The figure quoted by McCain includes money spent on research, development, and tooling�basically, the sunk cost. The Air Force says the per copy flyaway cost of each new aircraft, if the service buys 200 or more, is about $120 million. The price will be lower still if the service succeeds in obtaining further cost efficiencies in production. The staff member signaled that McCain might seek a reduction in the number of F/A-22s in the Fiscal 2005 budget. One reason, he said, was that Lockheed Martin is behind on deliveries of the Raptor. Reducing next year�s buy might �give them time to catch up,� said McCain �s staffer. The Air Force declined to comment officially on McCain�s remarks, but service officials privately expressed dismay that the Senator seemed to indicate a lack of support for the Raptor. �He is a tough critic, as the whole tanker issue has shown, and we hoped he would be with us on the F/A-22,� a senior USAF official said. McCain�s voting record has been generally supportive of the F/A-22 over the last 15 years. He even defended the program during his bid for the 2000 Republican Presidential nomination. However, at that time he also suggested that he might only support a smaller fleet than that proposed by the Pentagon. Then McCain said that the F-22 becomes less important once enemy air defenses are defeated. �Thus, as with all other military systems, I would support procurement of only those assets necessary to ensure successful missions,� he said. The Air Force also recognized that it would require the new fighter to go beyond its primary air superiority role. In 2002, it redesignated the F-22, the F/A-22, giving it more of an attack role. From these articles, it sounds to me that McCain is arguing that, with soaring deficits, we simply can't afford them at a time when we need to devote resources to the Iraq War. Unfortunately, he's probably right. At some point, we may be faced with the unpleasant reality that we may need a war tax if this war continues and the deficits grow. Otherwise, we're going to begin to see a signficant weakening of our defense. The thing is that most of the money has already been spent on the now almost 25 year long development program. Against all the money that has already been spent including the intial production run that has already been paid for, cancelling it or reducing it further is going to be a waste of money. This was originally supposed to be a 1500 aircraft buy, then a 1000, then a 550, then a 400, then a 248, and with each drop in order the cost per plane rose due to economies of scale until we have the current per unit cost. If the original buys had been maintained then the per unit cost would be much lower. Instead each lower of order brought the per unit cost up. As it is projects are already being cut the Commanche was canceled after more than 10 years in development and the money that would have went into a production run going into upgrading the existing helicopter fleet and buying more helicopters. The Crusader self-propelled howizer was also canceled early during Rumsfield's term. The planned military spending already has our tanks and other armoured vehicles serving until 2030 or so with no replacements in development other than paper studies as with all of our air force aircraft but the F-35 and F/A-22 and maybe the tanker buy. Thier simply isn't anything that could replace the F/A-22 if it were canceled and the F-15 is already a 40 year old design that has had about as much as could be added to it added to it to make it more effective. The F-35 is a fighter-bomber, not an air superiority fighter. The Navy is retiring its F-14s two years early to save money and has already retired more than three fourtths of the types of carrier aircraft that served during the 1991 Gulf War in another economy bid. Thier isn't much left to go that wouldn't get rid of core capabilities that are badly needed such as electronic warfare or tankers. I'm still of the opinion that massive savings could be made by streamlining the Pentagon procurement process. We should not have to bring a C-130 load of documents to deal with one aircraft proposal and eleminating that kind of waste could save tens of billions. Waterpanther: Go into your local Luby's, or the equivalent, pull someone out of the line at random, and ask whether s/he feels the F/A-22 is the cornerstone of American defense for the next several decades and whether opposing it means someone doesn't care about defense issues. Chances are that that person waiting for dinner doesn't know what the F/A-22 is, doesn't care, and if s/he does know, considers it more wasteful Pentagon spending, like the $500.00 toilet seats. That still doesn�t discount the fact that McCain is a two bit hack who is terrible for defense and a hypocrite on top of that. Sure it can be spun off as something that doesn�t matter to the average person yet the fact remains McCain would just be another CINC who should never be allowed into the Oval Office. The man has no clue on defense. Somehow McCain the fighter pilot/POW and McCain the politician are two very different entities that have been disconnected from each other. A pilot who was shot down over enemy territory and spent that long as a POW under those conditions should realize the value of an aircraft that is stealthy enough to avoid being shot down. Spin it off as something the average Joe won�t care about if you want that still doesn�t change the fact that by opposing the Raptor McCain has proven he is bad on defense and that he should never be allowed into the White House. That reality is something that can�t be explained away. Waterpanther: Raptor is a prime priority for military hardware fans, not for the population at large. The Raptor is a prime priority for anyone interested in maintaining the military edge we currently have and it isn�t that hard to explain why it is needed to maintain that edge. You�d be surprised how it could be used as a truthful and effective campaign ad to beat McCain over the head with. Waterpanther: Add "with Republicans" and you'll have a good point there. McCain, on the other hand, is far better known to most Americans and is well-liked by a good many liberal, middle-of-the-road and conservative Democrats. McCain has a fair amount of name recognition but I wouldn�t discount Pataki in that realm. Like Rudi he picked up national attention and recognition following September 11th. In addition Pataki has a better chance of making it through the Primaries than McCain. McCain has pretty much been fire branded a traitor and Democratic loyalist by the type of people you�d see voting in a Republican Primary. These are the people McCain would need to get himself on the ticket rather than �liberal, middle-of-the-road and conservative Democrats�. Pataki doesn�t have any of this baggage and his policies will probably have more appeal with the center than McCain. Spectacles: From these articles, it sounds to me that McCain is arguing that, with soaring deficits, we simply can't afford them at a time when we need to devote resources to the Iraq War. Unfortunately, he's probably right. At some point, we may be faced with the unpleasant reality that we may need a war tax if this war continues and the deficits grow. Otherwise, we're going to begin to see a significant weakening of our defense. Then McCain is selling the future defense of the country out for convenience right now. The reality is that an ancient fleet of F-15s and F-16s won�t be enough to insure air superiority ten years from now and might not be able to do it in five years in some theaters. Getting rid of the Raptor right now won�t even save much money since most of the money has already been spent on the program. On top of that McCain has opposed critical defense programs like the C-17 in the past. Tennyson: I'm still of the opinion that massive savings could be made by streamlining the Pentagon procurement process. We should not have to bring a C-130 load of documents to deal with one aircraft proposal and eleminating that kind of waste could save tens of billions. I am woefully ignorant about weaponry, but I definitely agree with this. We could probably save billions of dollars if we were to cut out wasteful, duplicative, bureaucratic caca all through government. The Clinton administration at least made some show of doing this, reducing the size of government by cutting out some bureaucratic waste. Of course, it's grown back and added some in the past four years. One thing about McCain that I like in particular is that he's a fiscal conservative. He's for balanced budgets. That places him (and other fiscal conservatives) at odds sometimes with just about every government department--especially these days when our deficit is out of sight. If we don't have fiscal conservatives reining in spending, or trying to, we'll be even deeper in the hole. And that means cutting spending across the board, unfortunately--defense, homeland security, education, probably reductions in social security and medicaid as well. It looks like we're in a position now where it's either do without or raise taxes. Or, as you say, cut every bit of fat out of the government--which I'd be for 100%. And, given the size of the deficit, we may end up having to do all three. I'm not against McCain in that respect. We do need to either raise taxes or do some major budget paring, which was why I was against all the Bush tax cuts after his first one. I didn't think anymore were needed. The problem with any budget now is that everyone in power has a pet project that they will fight for wether its needed or not. I know I have at least three projects that I'm sure others would consider waste but I regard as necessities. The more obvious pork barrel projects seem to be in the minority. But something needs to be done to cut down on waste across the board I just point out the military ones because I am more familair with them and can see areas where the savings would be more immediate there as well. I just point out the military ones because I am more familair with them and can see areas where the savings would be more immediate there as well. McCain in the past has said he �supports� the Raptor but in lower numbers than the Pentagon wanted. Essentially as Tennyson pointed out McCain supported the cuts that drove up the cost per unit of the Raptor and that resulted in the current situation where he wants to kill the program because it costs too much per unit. Either McCain was incredibly shortsighted in helping to drive up the cost per unit or he was part of the plant to drive up the cost until they could claim the Raptor was too expensive. Either way he didn�t support a wise defense policy. Tennyson: Thier isn't much left to go that wouldn't get rid of core capabilities that are badly needed such as electronic warfare or tankers. Edited by CJ AEGIS, 30 May 2005 - 08:02 PM. Well, thier is the Litoral Combat Ship, which I agree with you that the US doesn't need and I wish someone with the clout would realize is a bad idea and talk Rumsfield and its other supporters out of it or veto them or something. But that's about the only project that immediately comes to mind out Naval way. ^Same for me I can�t think of anything other than the LCS to cut. I suppose you could cut some of the smaller on paper studies into smaller carriers. Myself I think the DD(X) should be abandoned in favor of the original more capable DD-21 proposal. You could cut the SSGN conversion but as far as I know they are underway. Myself I think a refitted Iowa would be far more versatile than the SSGN with more cruise missiles and at less cost for that capability.